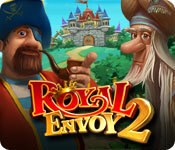 Royal Envoy 2 is rated 4.5 out of 5 by 71. 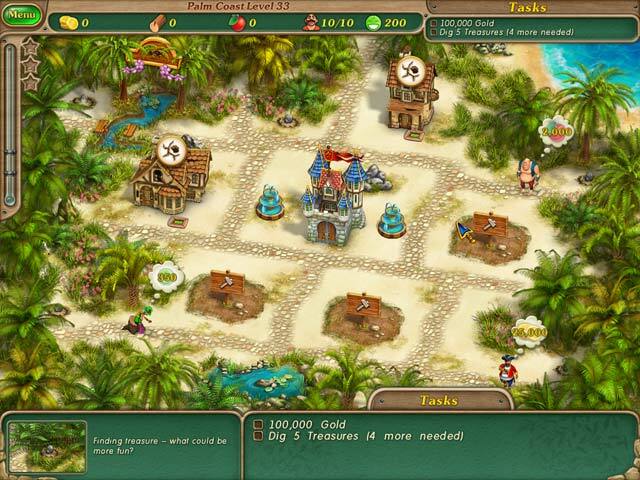 Rated 5 out of 5 by SunnySmiles45 from Royal Envoy series I really enjoy this game, the perfect distraction. I look forward to additions to the series. Rated 5 out of 5 by vickig2 from Good Brain Exercise I bought Royal Envoy and got addicted. So I bought #2. This is an absolutely great game. Only downside is it's timed and you have be pretty quick. My "senior" brain and hands are a bit challenged. Wish there was the option for relaxed mode for us slower players. I already looked and #3 has that option so will definitely be buying that one if I can get through #2. I have almost ALL of Playrix games and love them all. They do a great job and my go-to developer of games. Rated 5 out of 5 by skg122596 from I hate when I've finished all levels! Got through the first part thinking it wasn't very challenging if I could get gold on all levels, only to discover that by doing that I unlocked the Expert part, and today I finished that. I love these games -- just the right amount of challenge to be entertaining for hours without excessive frustration. Rated 5 out of 5 by biscuit99 from Loved it! I normally play the Hidden Object games, but this game hooked me. I loved having to strategize and be challenged on every level. Lots of fun. 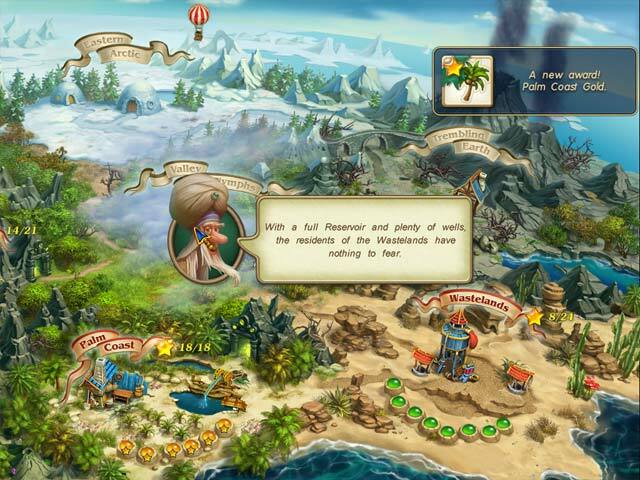 Rated 5 out of 5 by ntexas99 from Great Strategy Game Love the Royal Envoy series of games. 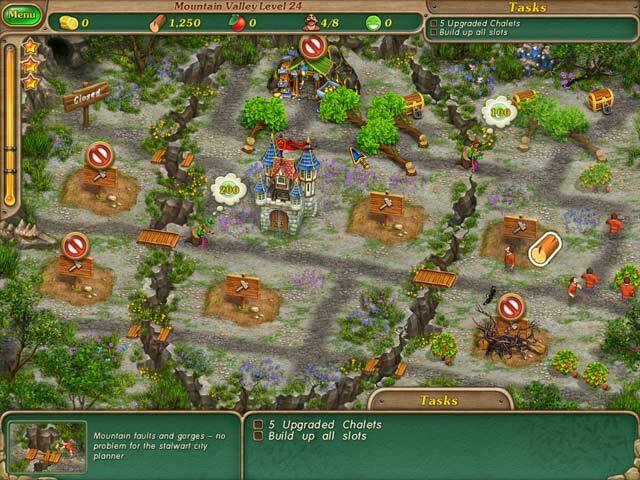 Skill building and strategy, where you can only earn three stars on each level by being quick and using your resources wisely. My only negative comment is that this version - Royal Envoy 2 - requires you to physically click on every coin to gather money. Later versions -- for instance, RE-3 and RE-Campaign for the Crown -- allow you to swipe coins, rather than clicking every one. I prefer the graphics in RE-3 to RE-2 because colors are brighter and images are sharper, but all of the Royal Envoy games in the series are good for those that like strategy building games. Build the houses, collect rent, chop down trees, hire workers, and do it all in unison to beat the timer in order to earn three stars. Bonus levels if you earn three stars on every level. If you like the Royal Envoy series, then you'll probably also like the Island Tribe series. Rated 5 out of 5 by Booplyn from Royaly Fun I enjoyed this game very much and appreciated some of the upgrades to the game to make it better than the first. The only negative I have is I really missed the effort put into the opening where you could click on things and get a reaction. I found this very fun in the first one and enjoyed giving the bird a click on the way into the game for good luck. Otherwise, very fun and similar to the first one.